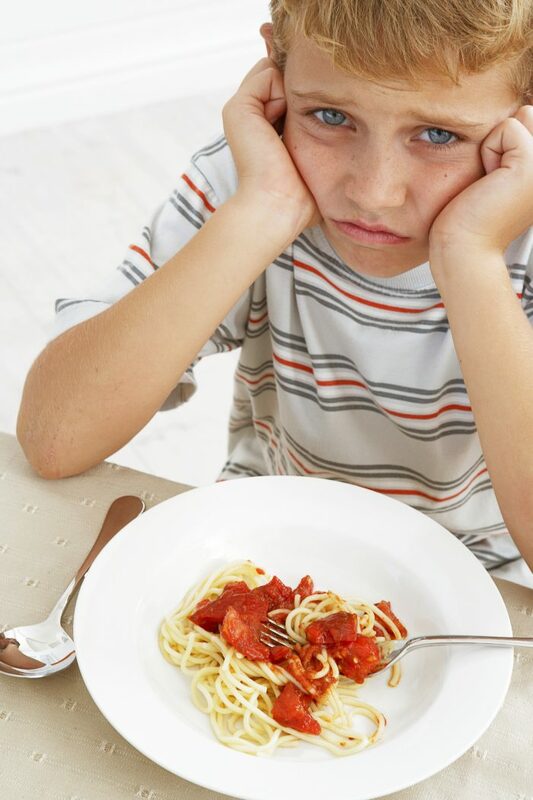 Are you stressed out at mealtimes with a tween or teen who still cannot manage to eat a reasonable variety of everyday foods? Maybe your 8 year old eats just 3 or 4 different foods? Perhaps you despair because your teenager will only eat white foods. Maybe your child eats quite a few foods but they won’t go near fruit and veg or good sources of protein that they need for growth? If you’ve tried every trick in the book and all the advice in parenting magazines and blog posts or perhaps you’ve even sought professional support but nothing seems to work then join me for my free webinar and discover my battle-tested strategies. This free session is an introduction to my four session programme designed to empower parents and carers of super faddy tweens and teens. The material is based on my knowledge as a Dietitian and also my experience as a mum to two super faddy boys. There are many good reasons why kids struggle with eating way beyond the fussy toddler years. There is a higher incidence in children who come from the care system (adopted or fostered), kids with anxiety disorders such as OCD or neuro-developmental conditions like autism, ADHD and FASD. These conditions and circumstances bring a lot of complexity and parents can often feel judged and misunderstood.This free session and the full programme will be a compassionate space where parents and carers can get the information they need to work out what sort of approaches will work best for their child. I will show you the five main issues that can cause tweens and teens to be really resistant eaters and reveal how understanding these will help you develop personalised approaches to help your child move forward. Cut through the myths and personal opinions and find out the bite size science on healthy eating. Discover the latest information about the link between gut health and our general health and find out how food affects mood and behaviour. I will give you my battle tested strategies for maintaining a strong positive connection with your child even if they have attachment difficulties and /or a neuro-developmental condition such as autism, ADHD or developmental trauma. Discover the critical areas of day to day life that can de-rail our efforts and get my tips and tricks to tackle them and achieve more success with less stress. At the end of the session you will have the opportunity to participate in a live Q and A and get your hands on a totally free bonus resource that will help you and your family achieve better nutrition. Register now at the link below, just select the date and time that suits you best and you will get a link giving you access to the session. You don’t need anything special to join in just wifi and a computer, tablet or phone. You won’t be on webcam so you can relax in your PJs with a cup of coffee if that’s what you need. It’s free so what have you got to lose. The cost is just £100 for all four sessions. So at £25/session with resources and recordings of each webinar included it’s great value for money. This entry was posted in Ages and Stages, Fussy eating in kids and tagged ADHD, adoption, anxiety, autism, faddy eating, fostering, OCD, teens, trauma, tweens by Stephanie.fade. Bookmark the permalink.